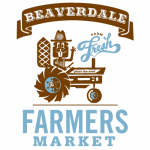 Discover and Share The Beaverdale Farmers Market! Des Moines Live Music Every Tuesday! The Beaverdale Farmers Market Starts June 4th! Are You A Possible Farmers Market Vendor?